Jerusalem, July 11, 2016 — The Center for World University Rankings (CWUR), based in Saudi Arabia, has ranked the Hebrew University of Jerusalem at #26 among the 25,000+ degree-granting institutions in the world. The annual rankings, released today, also place the Hebrew University at #1 in Israel and #1 in the Middle East. 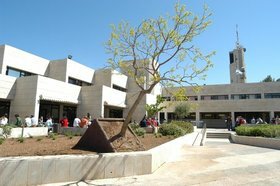 Among the factors that contributed to the Hebrew University’s overall ranking were its Quality of Education Rank (#16) and Quality of Faculty Rank (#15). The 2016 CWUR World University Rankings can be seen online at http://cwur.org/2016.php. The CWUR describes the World University Rankings as the largest academic ranking of global universities, using eight objective and robust indicators to rank the world’s top 1000 universities: Quality of Education, Alumni Employment, Quality of Faculty, Publications, Influence, Citations, Broad Impact, and Patents. More at http://cwur.org/about.php.